World Humanist Day is celebrated every year on June 21. 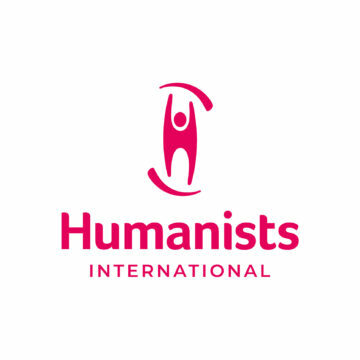 The International Humanist and Ethical Union (IHEU) is creating an information pack to help groups take full advantage of this opportunity to publicize the positive values of Humanism and to share the global concerns of the Humanist movement. And we could use your help with ideas and resources. World Humanist Day is a great excuse for a party. Yet it can be so much more than that. Below are some of the many ways that World Humanist Day has been celebrated over the past two decades, and a few of the resources already available to groups. If we missed your favourite World Humanist Day event, please let us know. Publicity Drive. From billboards to library displays, World Humanist Day is a great hook for advertising and promoting Humanism. It’s also an opportunity to seek media coverage. Conference or courses. While some Humanist groups hold conferences around June 21, others, such as the Humanists of Florida, conduct introductory courses about Humanism. Lectures or discussions. Topics for discussion can range from the global, such as talks about the activities of the IHEU, to the individual, such as open forums where people share their personal pathways to Humanism. Proclamations. A public proclamation is a document, authorized and signed by an elected official, which declares the importance of a specific date or event. A proclamation recognizing World Humanist Day is a great way to raise visibility and appreciation for the Humanist community. Videos. In 2009, the Dutch humanist broadcasting service, HUMAN, and the broadcaster VPRO worked together with the Humanist NGO Hivos to create five short films in which Humanism, as a practical, life-affirming philosophy takes centre stage. The films were shown on Dutch national TV on Saturday June 20th and Sunday June 21st in celebration of World Humanist Day. The videos, in a variety of languages but all with English subtitles, are now available on the IHEU website at https://humanists.international/world-humanist-day-21-june. Party or Picnic. Since World Humanism Day is a celebration, many groups maker it by throwing a party. And since June 21 is the summer solstice for the Northern Hemisphere, the party is often outdoors. A picnic can include food, games and discussion, and is also a great opportunity to include children in a Humanist meeting. Humanist Week. Why stop at a day! The British Humanist Association (BHA) celebrate a Humanist Week around the June 21 date. With a whole week of national and local events surrounding the history, beliefs and values of Humanism, the BHA will be organising special events and helping its chapters to celebrate Humanism in their local areas. http://www.humanism.org.uk/meet-up/humanist-week. IHEU is looking for more suggestions, samples and success stories to add to its World Humanist Day resource pack. How do you celebrate World Humanist Day? What would you like to see groups doing? And what can IHEU do to help you do more to celebrate and promote World Humanist Day? Please send your ideas to .